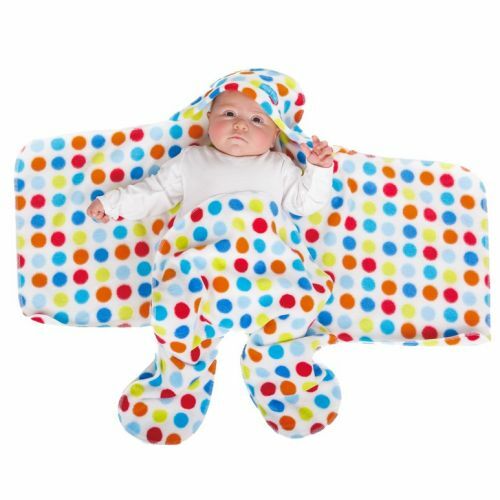 Bright Spot Nod Pod baby blanket with legs. This lovely bright multi coloured baby blanket is great for both baby boys and girls. Ideal baby shower gift or newborn gift for parents who like fun colours. The Nod Pod is ideal for using as a car seat blanket and also in prams and slings.